Since we are passionate about what we do and are always looking to learn more about the many experiences available to our clients, my wife and I decided to do site visits to six all-inclusive resorts while we were on our babymoon July, 2016 in Montego Bay, Jamaica. If you’re looking for more information on babymoons, check out this post. See below for our review and description of 6 different all-inclusive resorts. 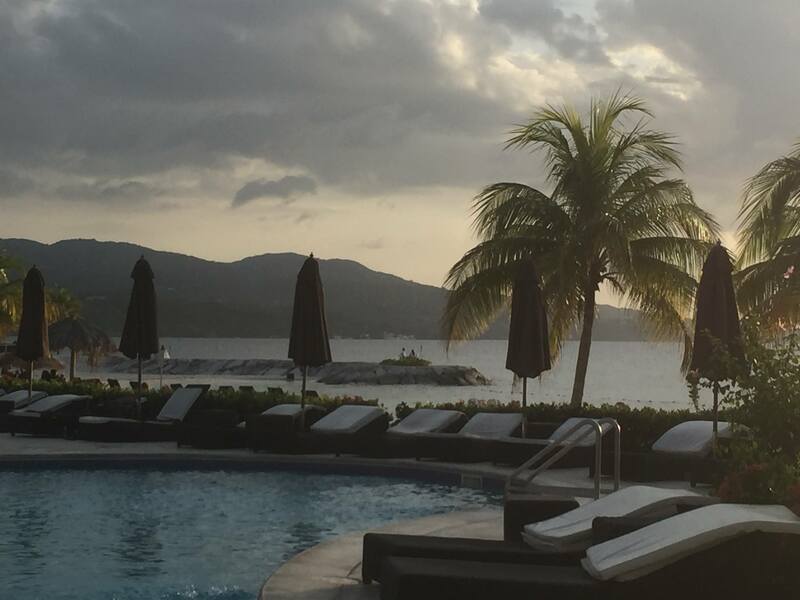 We stayed at the Secrets Wild Orchid in Montego Bay, Jamaica for our little jaunt and had a lovely experience from check-in to check-out. The Secrets Wild Orchid shares the property with Secrets St. James and the difference between the two properties is all in the décor. Wild Orchid is a little more modern while St. James has more of a colonial feel to it. Either one is a winner in my book. Each resort has a large beach access available for guests and a pool with swim up bar. The preferred club guests also have their own pools and own beach access in addition to the other great amenities available for preferred club guests. The resorts share access to the 10 restaurants on property, each with a different cuisine for a variety of tastes. There are daily activities available for all as the staff is friendly, energetic, and very hospitable to each guest. My favorite spot to be was in the main pool at Wild Orchid during the day at the swim up bar, where I would try whatever beverage struck my fancy at that moment. The alcohol selection was broad and the bar staff were great at letting it pour. Check out our photo album here for some pictures of these two resorts. These two properties are cozy, adults-only resorts for couples looking to find or rekindle that spark or for a group trip (girls getaway, or wedding, anniversary, special occasion). I would highly recommend Secrets Wild Orchid or Secrets St. James to anyone looking to really unwind in a beautiful setting. The décor, food, accommodations, and cleanliness at the Hyatt properties were all top notch and it was easy to see that this brand of resorts was going to be a new favorite of ours. The property was converted from a former Ritz Carlton and is just completing another renovation in 2017. This is the only Hyatt where the Ziva (family friendly) and Zilara (adults only) share a property. Though there are security guards at the dividing line to make sure no kids can bother any of the Zilara guests. Additionally, adult Ziva guests have access to Zilara for a grown-ups night if they so choose. The pools were absolutely huge and there was a fantastic beach at the property with shade trees for those who wanted to not fry their skin for a while. On the Ziva side, there was a kid’s club where they had fun and games for the little ones all planned so moms and dads could partake with the kids or have a relaxing day worry free. There are nine different restaurants available and four different bars were guests can enjoy a variety of foods from all different regions as well as enjoy their beverage(s) of choice. We took quite a few photos to show some perspective on these two phenomenal resorts; ﻿click here to view﻿. The Hyatt Ziva and Hyatt Zilara Rose Hall are a marvelous choice for guests looking for a more modern feel with upscale accommodations. We liked these two resorts so much we are returning to them in May of 2017. Stay tuned for an update to our review. Our last resort visits on this trip to Jamaica were the Grand Palladium and Lady Hamilton located between Montego Bay and Negril, about an hour and a half drive from the Montego Bay airport. These sprawling resorts offer family friendly fun with an expansive beach and massive swimming pool, guests have no trouble cooling off after a warm Caribbean day. The rooms are all arranged into villas to go along with the Mediterranean theme of the resorts. In each villa, there is a central courtyard with a fountain. There are seven a la carte restaurants and three buffet style that serve a host of different menus, form Mexican, Indian, Italian, to, of course, Jamaican cuisines, guests are sure to experience the wonderful gastronomy available on the property. The resort is quite large, but the staff is always a call away to take you all over in the extended golf carts for those who prefer not to walk. We were shown to a hidden beach area that if you didn’t know was there you would swear it was part of another resort. That secret beach is where all the non-motorized aquatic sports equipment is located, like windsurfing and stand up paddle boarding or snorkeling, which is all complimentary to each guest. Our photo album of the Grand Palladium and Lady Hamilton can be seen her﻿﻿﻿﻿e. For the more budget conscious, I’d recommend either Grand Palladium or Lady Hamilton; they are a great option for a family vacation or a large group getaway for those that prefer a large property to spread out. For more information or to reserve your next dream vacation, contact us at (904) 366-6645. Go there with us!